Seminar "BIM philosophy in practice" - Tremendous success in Greece! TechScience – the Greek distributor of Nemetschek Scia – has organized a seminar on 10th of October in the Technological Educational Institute of Piraeus, and particularly the Civil Engineering and Infrustructure Department, with the subject: BIM philosophy in practice. 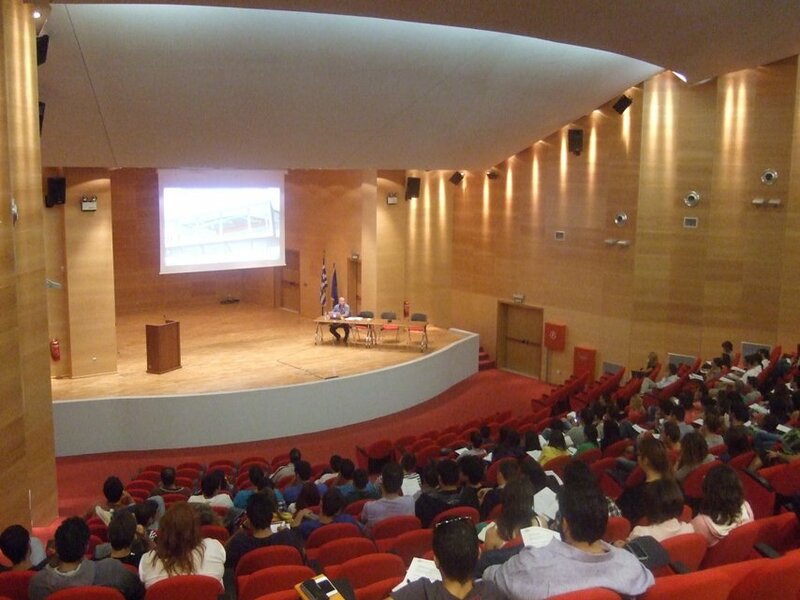 The seminar was a big success since more than 200 students participated, which clearly states that BIM is a hot issue among the people involved in the construction industry in Greece. The content of the seminar was a detailed description of BIM with real examples, and how it can be achieved throughout the design process, with a focus on exchanging the architectural and structural analysis models. A discussion was held on the IFC standard and how the users benefit from it to collaborate across different platforms and professions, achieving a high level of quality and speed. In the second part of the seminar, a live presentation of Allplan and Scia Engineer was given, demonstrating how these two software successfully help implement BIM workflows into their practices. Finally the students were informed about the free educational licenses of Allplan and Scia Engineer, that they can use during their studies for projects or thesis. The seminar was the first of a series that will follow in other universities and institutes across Greece, aiming to inform and prepare the future architects and engineers for their professional carrier.